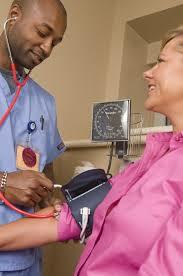 Since 1997 Extended Home care has been a special Needs, certified Home health Care Agency. Our main focus is to provide high quality home care services to PWDD patients and their families. Extended Home Care is providing services to all patients with in the five Boroughs of New York City, as well as Nassau and Suffolk County. Our caregivers are passionate about helping people and improving the lives of the people they touch. We are very proud of our nurses who have consistently been rated among the best in New York based on patient satisfaction surveys. Extended Home Care provides culturally sensitive care to our client with the help of our caregivers who speak a variety of languages and come from a variety of cultural backgrounds. Extended Home Care is a Special Needs, Certified Home Health Care Agency, serving New Yorkers since 1997. We specialize in providing home care services to patients and their families with PWDD. Extended Home Care has taken this unique level of comprehensive care and shared it with all New Yorkers in need.